These chocolate protein muffins are So darn good, it will be hard to just have one! Today’s post comes to you from deep in the SoCal dessert hills. I’m here at a ranch (or maybe it’s just a house with a lot of land) animal-sitting with a friend. The peeps that own the house/ranch aren’t ranchers per se, but they are BIG animal lovers (as am I) so I’m in all my glory right now. So, for the last few days I’ve been hanging around with a Great Dane puppy, a gigantic Rottweiler (who’s nothing more than a 150lb pug IMO), a sweet old Saint Bernard, a chocolate Lab, 2 horses, 3 coy fish (now only two as one got eaten by a Crane last night), 25 goldfish and one very feisty little goat. I’d like the say the goat has captured my attention the most, but truly it’s the Rotti – pug. He just reminds me of my little baby girl pug, only he’s 400x bigger and could probably take my head off in one bite if he had the inclination. Fortunately, he’s more inclined to run around with an orange in his mouth or lounge in the pool. Anyway, as we’ve been out here without much contact with other civilization, I thought it wise to make chocolate protein zucchini muffins, just in case. Not only are they awesome to eat, surely they could distract a wild coyote or bear that could potentially be encountered in this enormous kitchen. I mean anything could happen, right? Or maybe I’m just channeling my inner Pioneer Woman…. Chocolate Zucchini Muffins Are BOMB! First off, let me say that there’s an ingredient here that you might turn your nose up at, but I hope that you’ll keep an open mind before you chose to omit it (which you totally can). 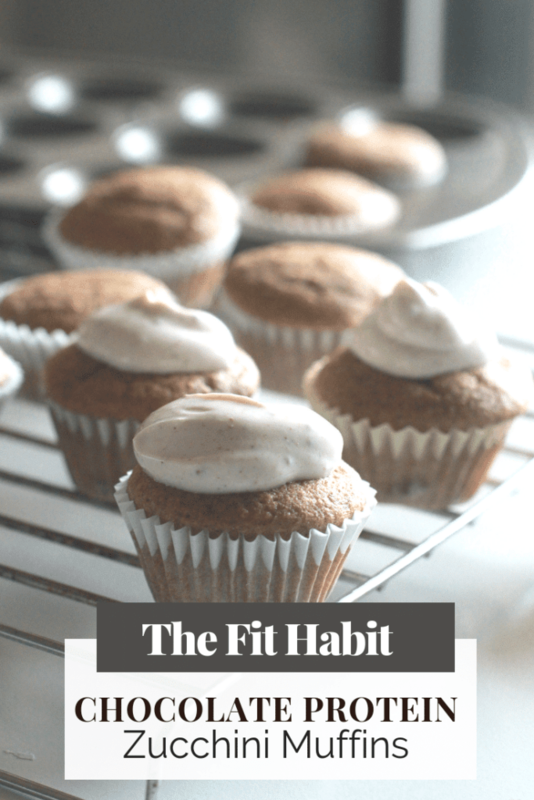 Now hear me out – baking with protein powder is simple, it doesn’t alter the taste of your baked good and it dramatically increases the nutritional value of whatever your making. The trick is to not add too much. If you keep the ratio low enough, you’ll increase the protein content of your baked good and decrease the overall caloric value, because by weight and measurement, protein powder is less calorically dense than flour. Seriously, these are great and totally guiltless. Lots of healthy fats and protein, easy on the carbs and so soft and moist you might eat 6 at once (speaking from experience here). 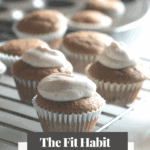 Are you interested in more protein baking recipes? 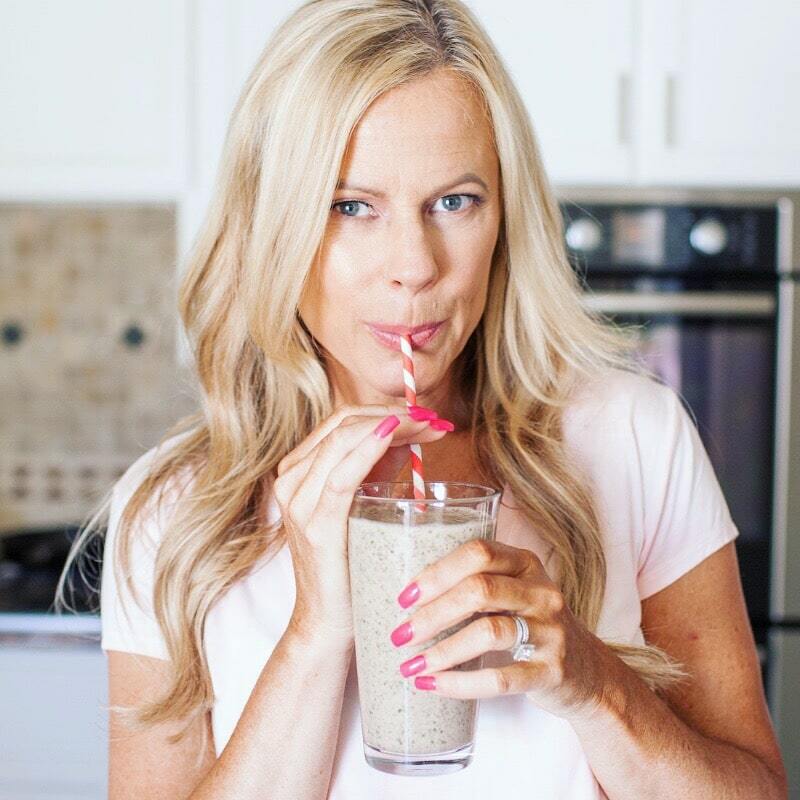 PS – this is the protein powder I used for this recipe. A simple, low carb and sugar-free treat for when you're feeling the need for something sweet. Preheat oven to 375 and grease a muffin tin or loaf pan. Mix dry ingredients well, then add grated zucchini, coconut oil and eggs. Stir well and add to pan. Bake for 25 mins to 30 mins or until no longer soft. ana @fit, fun & Delish! What a great place to spend time at! Those muffins look soooo good! I’m definitely going to make them 🙂 Oh and you’re looking fabulous!! thanks girl! I sent your sample out today, so you should be getting it next week. Can’t wait to hear what you think! The muffins look great, but I’m significantly more enamored with all the animals and your new, although temporary, home gym. Talk about a nice respite complete with goats and pups. Enjoy your house sitting. PS. The eagle has landed, and the packaging looks great. Thank you!! Yeah! Thanks for letting me know!! I was worried about how it traveled. Love chocolate zucchini muffins! I do one with coconut flour a lot – will definitely be checking out an almond version next! Maybe a combo? Totally do a combo. I use almond flour because it’s lower in carbs, but either will do. Looking forward to meeting you at blend! These muffins look good, and I am planning to make them this weekend. I need a clarification, though. The instructions mention eggs, but the ingredient list doesn’t. How many eggs do I need? Thanks! Omg, thank you for pointing that out!! it’s 2 eggs. enjoy!